A diversified and innovative plastic injection and rotational molding enterprise. Maxiplas Pty Ltd (“Maxiplas”) was established in 2004 and is now a diversified and innovative plastic injection and rotational molding enterprise. Establish an injection molding business Maxiplas predominantly was molding for the waste bin market and averaged 400,000 bins per year, over a four-year period and was the second largest producer of bins in Australia. In 2008, the injection business was purchased by Maxiplas main customer. Established a Rotational molding business after a great amount of research Maxiplas embarked on the design development and implementation of its own range of water tanks and water harvesting products. Maxiplas is now the market leader in this area and has diversed into other rotational molded products to underpin its continued growth. Some of the products that we also manufacture are outdoor furniture, Kayaks, Boom sprayers for the farming sector and all the plastics requirements for the new defense Hawkie. Re-entered injection molding through its own continued product development and encouragement from its customers and government support to reenter the market. Maxiplas was able to secure key contracts in the Automotive, water, waste and logistics industries. This has gone hand in hand with its own proprietary products to make a secure and diverse blend of products over several key industry groups. The company’s key strengths are its sales focus, ability to recognize vertical integration, engineering expertise, and capability to design develop and launch new products successfully into the market place. From concept to completion whether it’s a Customer’s product or a Maxiplas product we are positioned to deliver the best in the industry. This mission has been pursued through the businesses investment in R&D in robotics, systems and automation with world best practice lean manufacturing concepts. It has also been pursued through a commitment to quality, prudential management and environmental responsibility. Paul is the founder of Maxiplas and the driver of its strategic direction and investment decisions who has demonstrated a positive track record in entrepreneurship and management of growth businesses. Through Paul’s investment in state of the art rotational molding and injection molding technology and systems, Maxiplas has grown to rapidly become a market leader in the rotational and Injection industries. 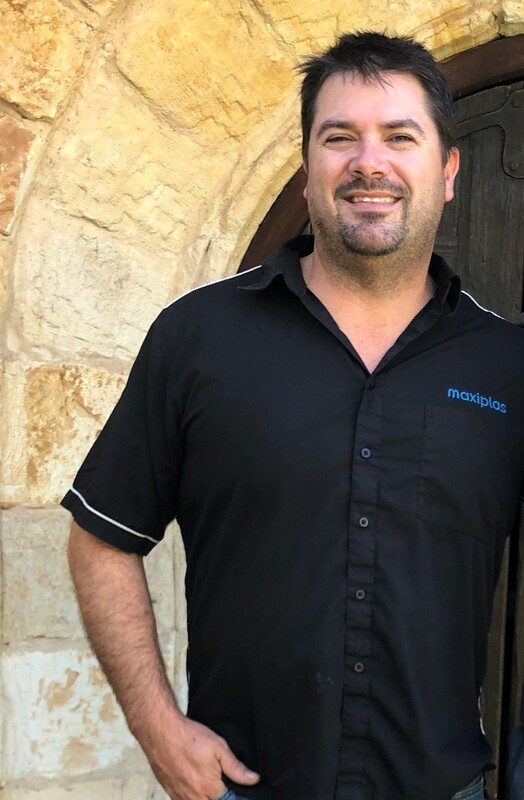 Prior to establishing Maxiplas in 2004, Paul was the General Manager of Mastec Australia and prior to that he was the operations manager at Trident Tooling Pty Ltd and has significant automotive tooling and plastic component production. 1) 20 years’ engineering experience in the automotive industry. 2) 24 years in Plastic related industry. 3) Tooling Engineering & Project management of multiple projects.